The ongoing merger between Chinese online video giants Youku and Tudou has taken a step closer to completion after both Youku and Tudou confirmed that their respective shareholders have approved the plan to bring the one-time rivals together. The deal, which was announced in March and is estimated at more than $1 billion, is all set to be completed during the third quarter, as planned, now that formal approvals have been gained. The coming-together will see Tudou merge with the company to become a wholly-owned subsidiary of Youku. Once completed, the combined entity will be renamed “Youku Tudou Inc”. Other further effect of the merger could be that Youku’s video search engine — Soku — is made into an independent service, that’s according to reports out of China last week. Put together both sites account for less than half of the online video market in China, with Youku (21.8 percent) narrowly ahead of Tudou (13.7 percent), but the coming together is likely to mark a new period of consolidation and more intense pressure on Youku Tudou’s challengers. Weeks before the deal was announced, Tudou went public on a series of user numbers that revealed it is now seeing more than 300 million visitors each month. One key driver of traffic is microblog service Sina Weibo, which is likely to bring even more traffic thanks to an agreement to integrate the video service. Youku and Tudou are known for their intense battles, both on the Webs and in the courtroom, which made the coming together somewhat of a surprise. 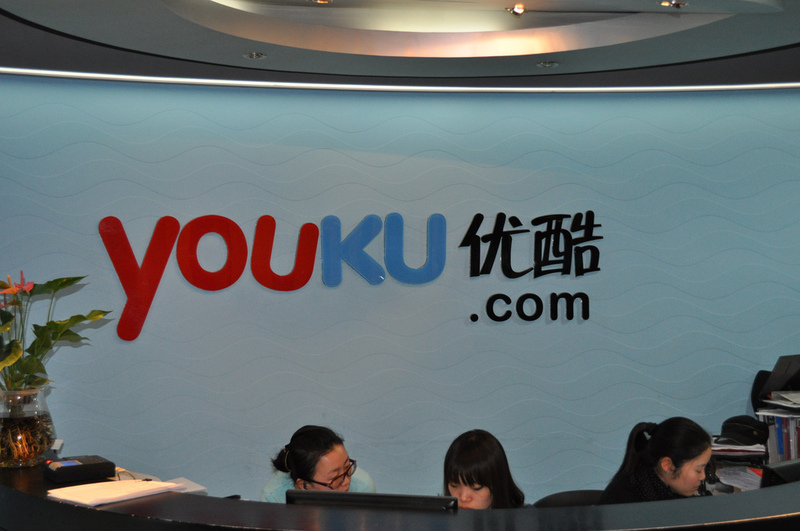 Earlier this year, Youku lodged the latest round of legal suits, accusing Tudou of losing it business following claims that Youku had misused copyrighted material. Despite the intense competition, there has been cooperation, most notably last year, when the firms began sharing content to fend off rivals. That move led to speculation of a merger and, more than a year later, that rumors proved to be correct. In fact, As documents later revealed, the two companies had actually first discussed the possibility of a merger during informal talks in 2009. The parties expect to complete the Merger as soon as practicable. Upon completion of the Merger, Tudou will become a privately held company wholly-owned by Youku, and Tudou’s American depositary shares will no longer be listed on the NASDAQ Global Market. Tudou Shareholders Approve Merger With Youku Inc.
SHANGHAI, China, Aug. 19, 2012 (GLOBE NEWSWIRE) — Tudou Holdings Limited (“Tudou” or the “Company”) (Nasdaq:TUDO), a leading Internet video company in China, today announced that, at the annual general meeting of the Company’s shareholders (the “AGM”) held earlier today, shareholders voted in favor of, among other things, the proposal to authorize and approve the previously announced merger agreement (the “Merger Agreement”), dated March 11, 2012, by and among Youku Inc. (“Youku”) (NYSE:YOKU), Two Merger Sub Inc. and Tudou, the plan of merger attached as Annex A to the Merger Agreement (the “Plan of Merger”), and the merger contemplated thereunder (the “Merger”). Based on the final tabulation, approximately 99.7% of the ordinary shares of the Company present in person or by proxy at the AGM voted “FOR” the resolution to authorize and approve the Merger Agreement, the Plan of Merger and the Merger, which was therefore passed as a special resolution. Over a majority of the ordinary shares of the Company present in person or by proxy at the AGM also voted “FOR” the re-election of Gary Wei Wang, Hany Nada, David M. Hand, Ted Tak-Tai Lee andConor Chia-hung Yang, which was therefore passed as an ordinary resolution. Completion of the Merger is subject to the satisfaction or waiver of the conditions set forth in the Merger Agreement. The Company will work with Youkuto satisfy all other conditions precedent to the Merger set forth in the Merger Agreement. If completed, the Merger would result in the Company becoming a privately held company and a wholly owned subsidiary of Youku, and the combined entity will be named “Youku Tudou Inc.” As a result of the Merger,Tudou’s American depositary shares will no longer be listed on the Nasdaq Global Market.